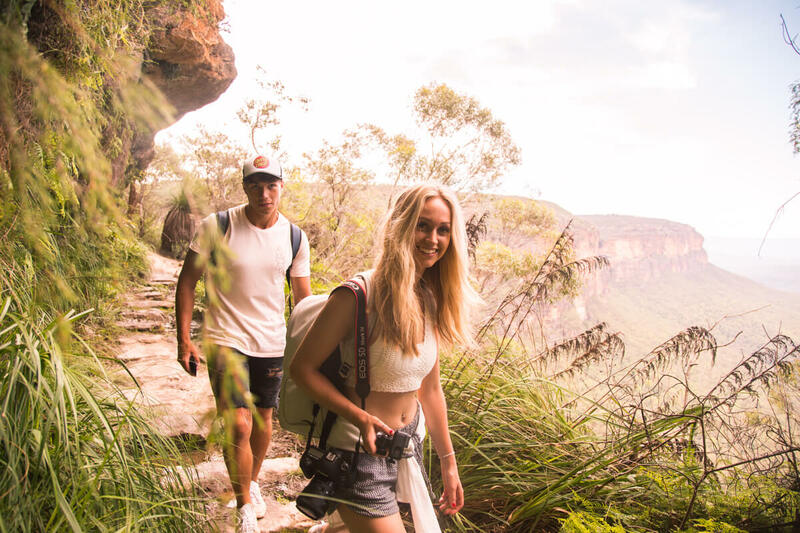 I regularly get questions from you guys asking if it’s possible to self guide a trip to the Blue Mountains or whether you need to book onto a tour to see them. Quick question… Are you part of our travel family on Facebook? 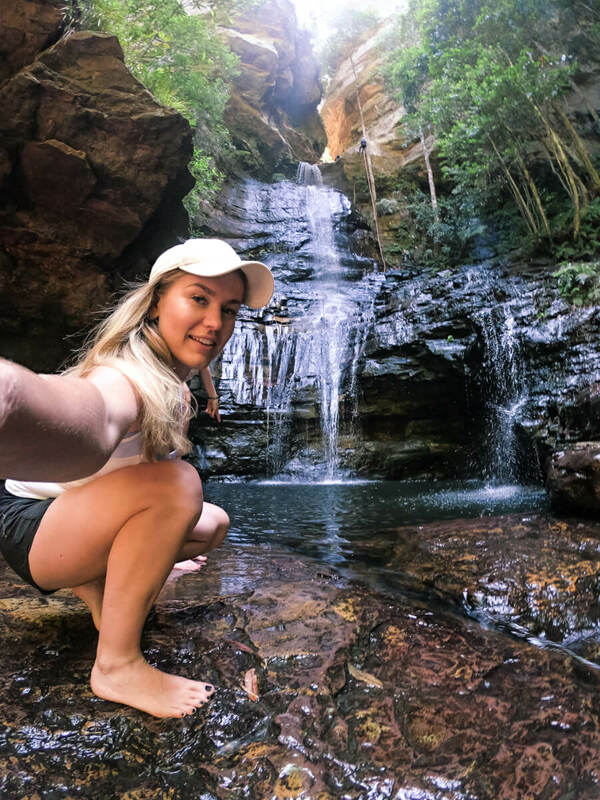 Where’s Mollie Global Travellers? Join here and get all the travel advice, tips and inspiration you could dream of! 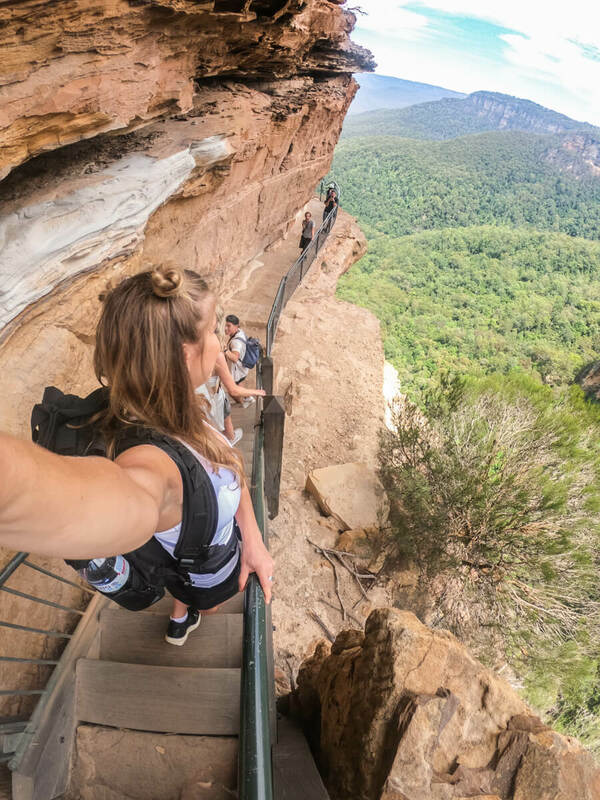 I’ve never actually done a tour of the Blue Mountains, both of my experiences have been self guided (last time I went to the Blue Mountains lookout). 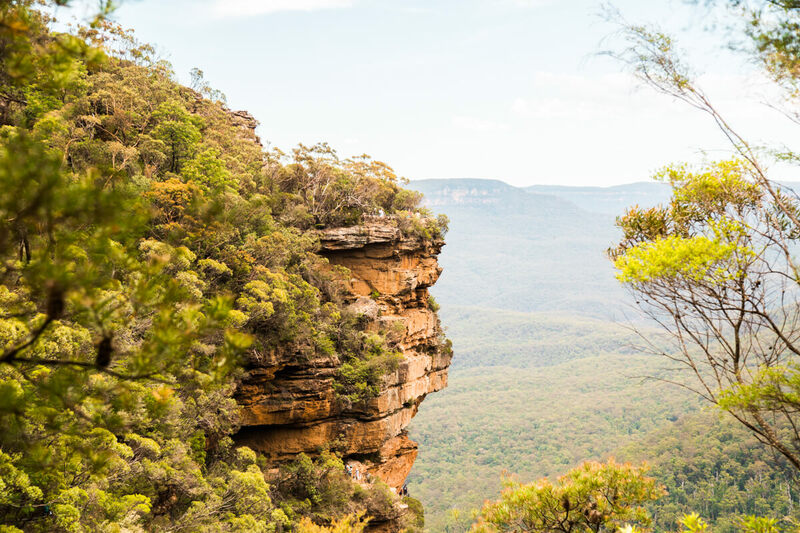 I’m sure jumping on a tour would be great but it is absolutely possible to self guide yourself to and around the Blue Mountains. Infact doing so is a pretty cheap adventure option if you’re on a budget. Let’s face it, tours can be expensive and a lot of the time, unnecessarily so. 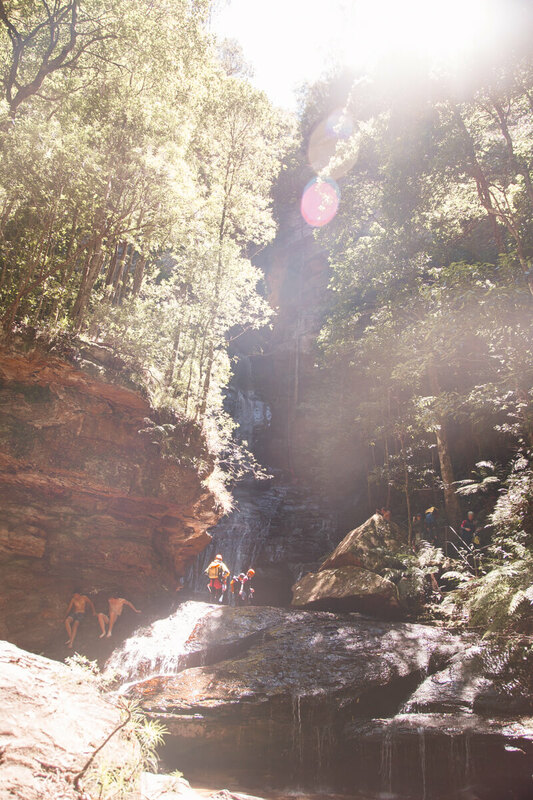 The adventure I went on yesterday and am sharing in this blog post had me spend $12 AUD plus the packed lunch I took from home and a coffee en route. BARGAIN, right? 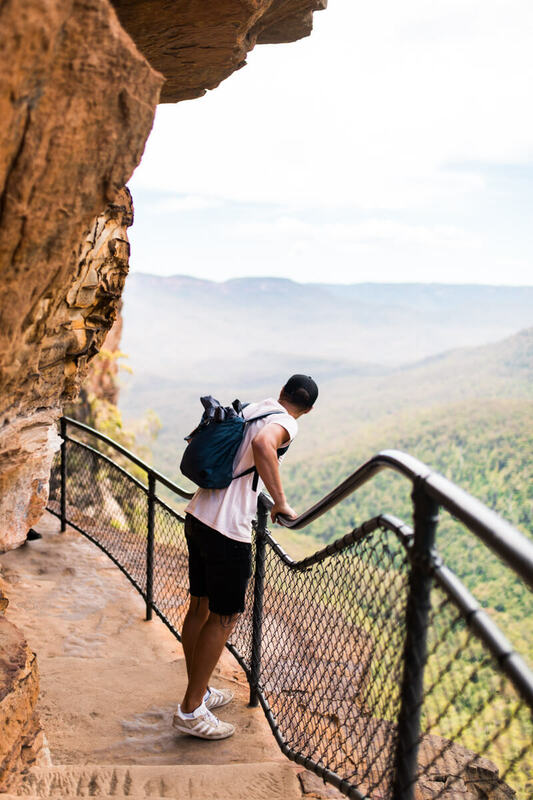 Taking a trip to the Blue Mountains simply requires a little homework (as it’s a HUGE place and you can’t just wing it) plus an attitude ready for adventure. The adventure mode is yours to turn on, and as for the research – I got you! You’ll be pleased to know that it couldn’t be more straight forward. 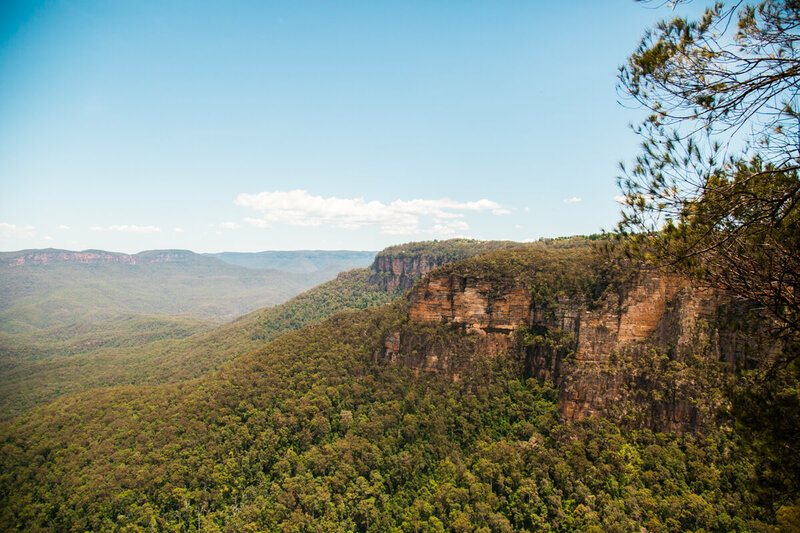 Get yourself to Central Station and hop on the 1hour 50 minute train straight through to Wentworth Falls. 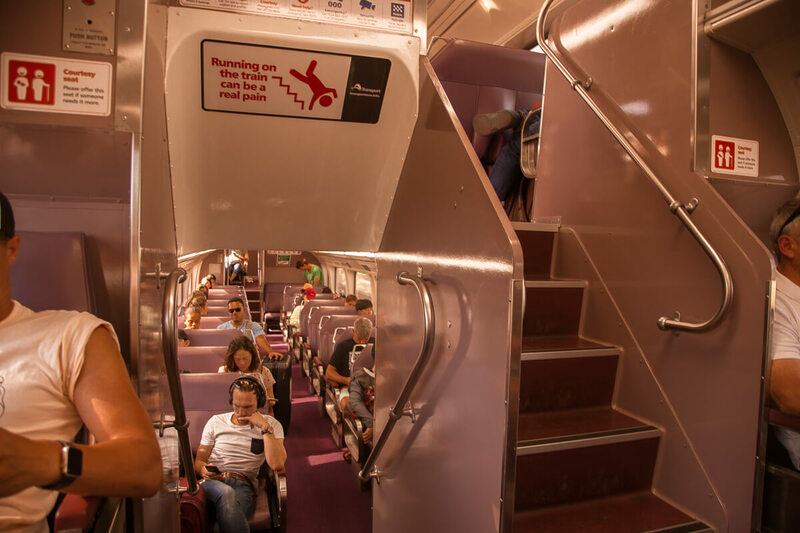 Trains depart around every half an hour and your ticket will have you a space on the double decker, air conditioned train. There’s also toilets. There’s no WIFI but you can enjoy the transition from city to vast amounts of green. Top tip: Download citymapper to source the train times and best route for you. Top tip: Open this map on google maps (on your iPhone) download it offline and use it to navigate on your adventure! 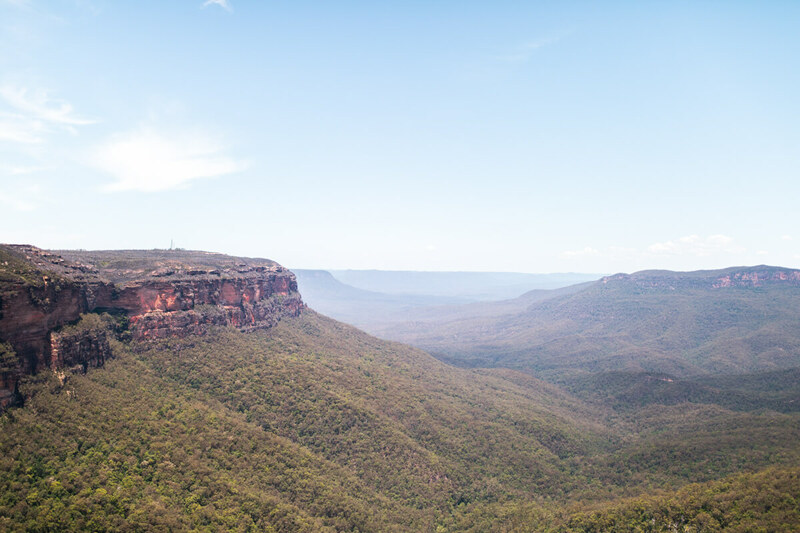 We took the train at 8.20AM from Central Station, arrived in The Blue Mountains at 10am and caught the 4pm train back so our day exploring and enjoying the national park was 6 hours long. 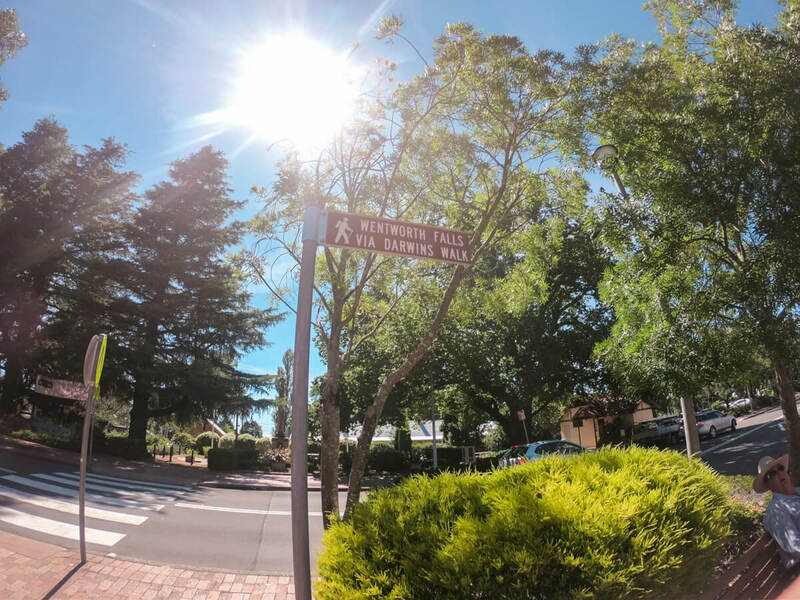 When you exit the station turn left towards the traffic lights at which point you need to take a right and continue on following the (obvious) signs to Wentworth Falls. This route, I believe, is called Darwin’s walk. 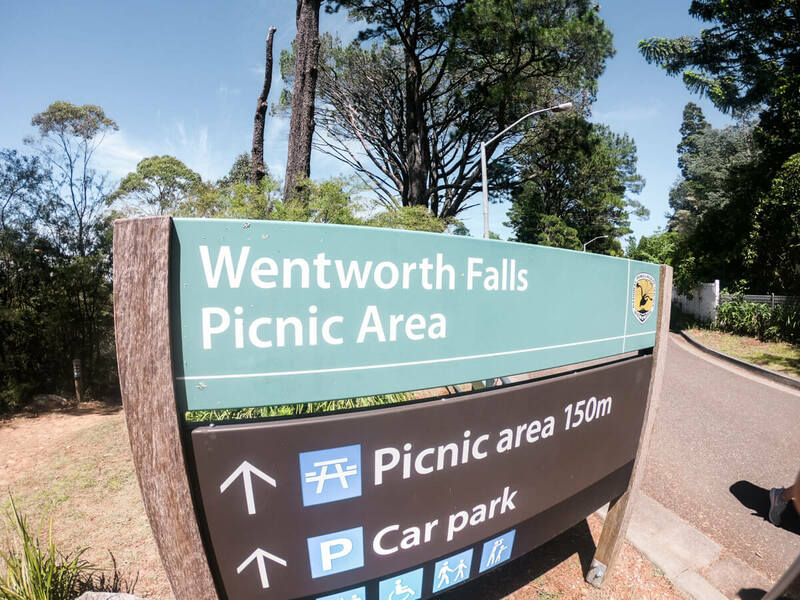 You’ll walk down a very wide road which looks like you have got yourself lost in a residential housing area but continue on ahead until you are met with signs to the Wentworth Falls car park and picnic area. 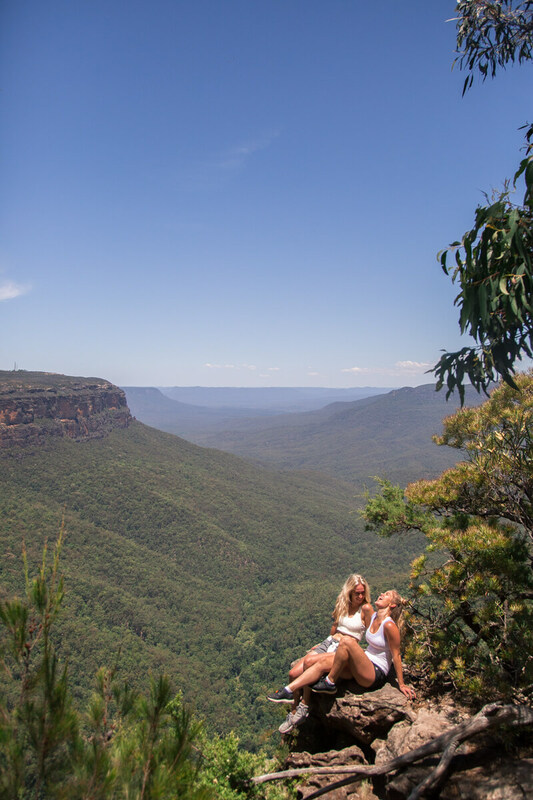 From here we chose to take the Wentworth Falls Lookout Track to check out the falls. 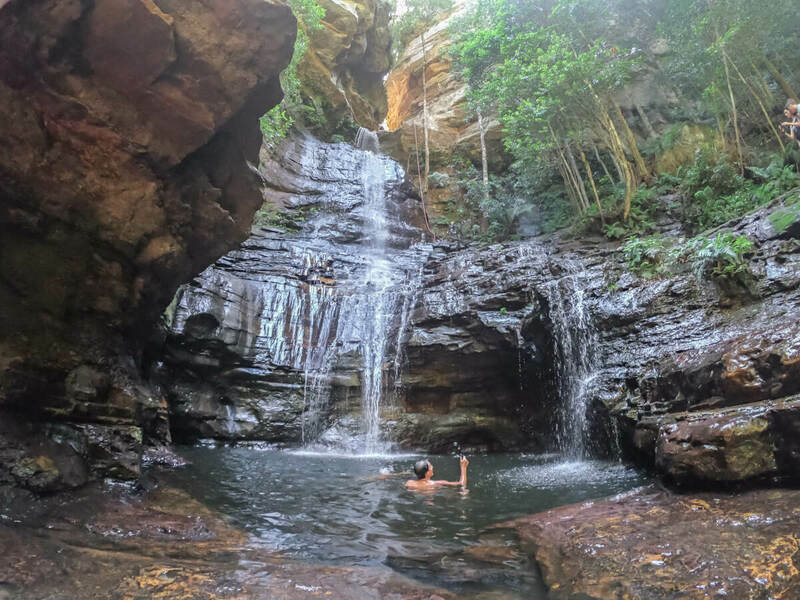 You can dip your toes in here and even continue part way down the National Pass for pretty unrivaled views over the falls. 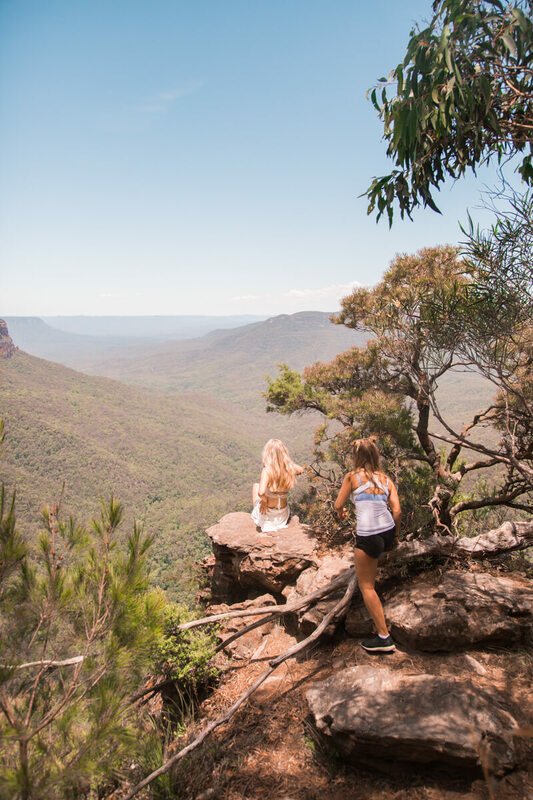 Continuing our day we retraced our steps nearly back up towards Jamison Lookout but when met with the Eagles Nest Fletchers Lookout Walking Trail we took it. 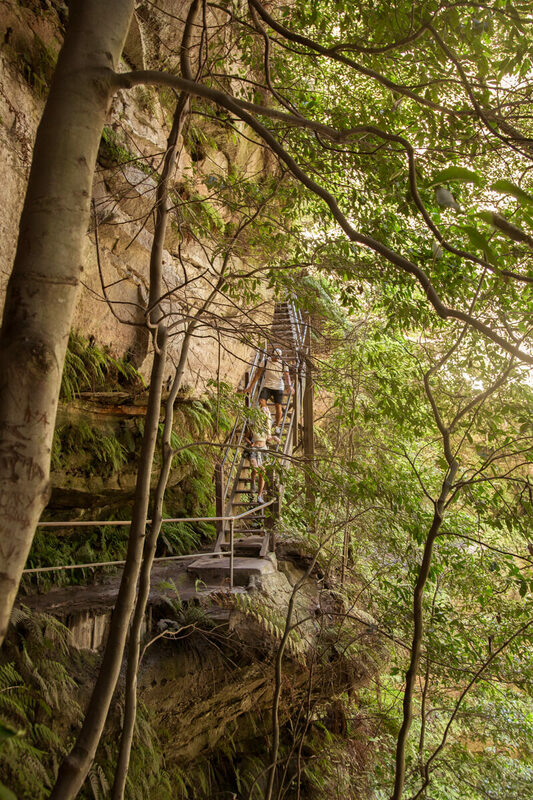 We enjoyed the flat trail that wraps underneath and around the cliff face until it merged with the National Pass Walking Track and then the Overcliff track. Keep going until you spot the Empress Falls sign, at which point you’ll hear people splashing into the water. 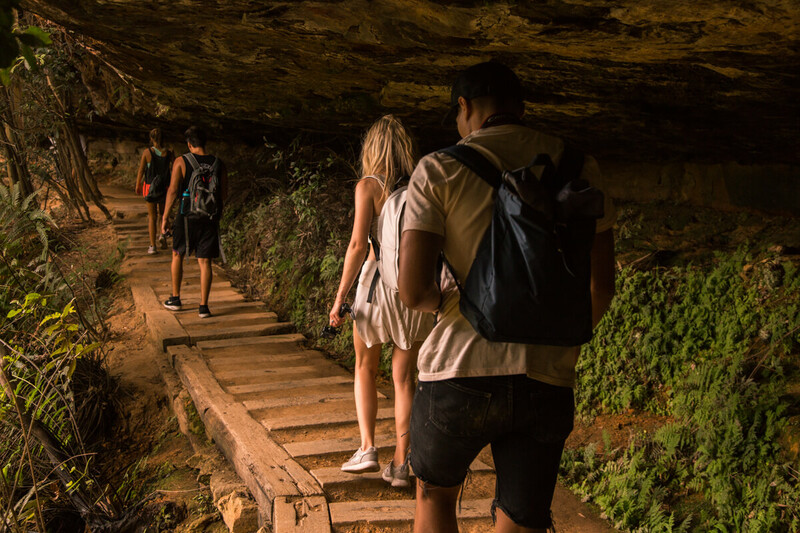 If you’re visiting on any day like we did, the sound of water will have you descending down the Valley of the Waters track to the falls without a seconds hesitation. The perfect spot to enjoy your packed lunch and take a swim! 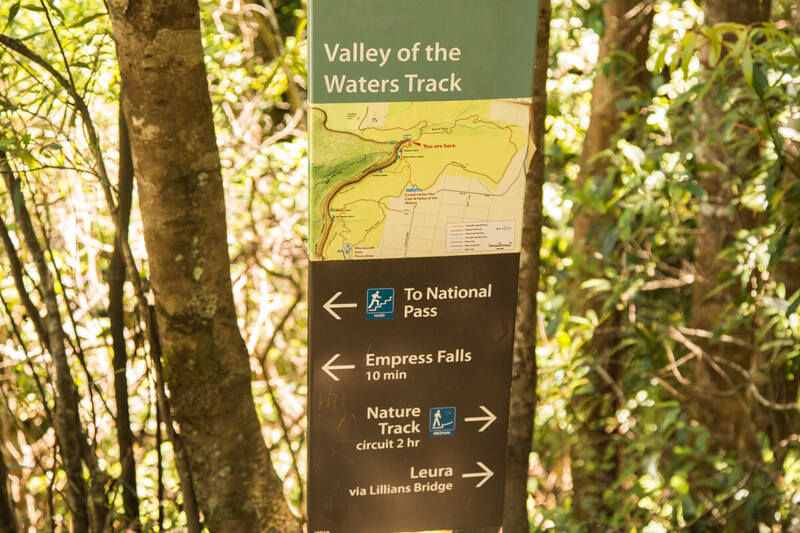 To finish your hike, ascend back up the stairs (hardest part), turn left when faced with a junction and follow signs up to the conservation hut / car park via the Valley of the Waters track. Enjoy some food / a glass of wine here at the Conservation Hut with glorious views over The Blue Mountains to finish your adventure! The walk back to the station follows the road you’re faced with on the right as you walk away from the cafe. 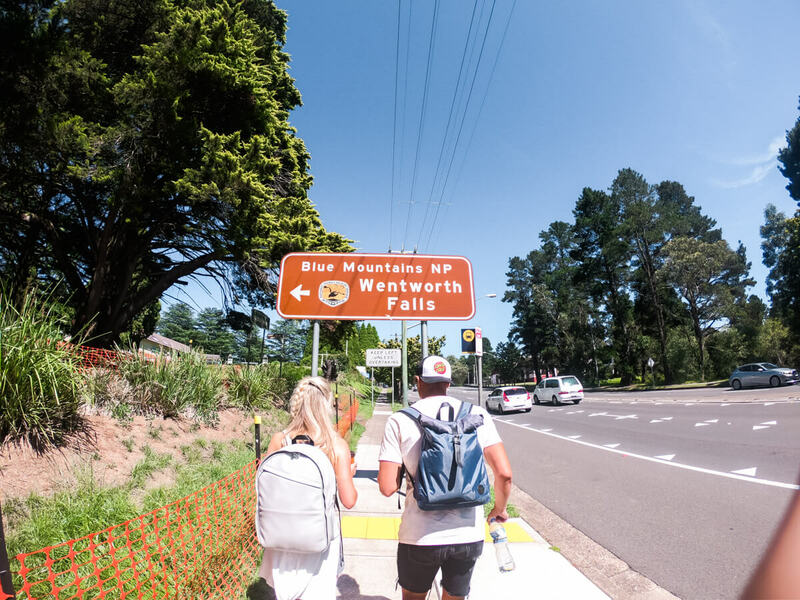 A mere 20 minute walk and you are back at Wentworth falls station ready to hop back on the train to Sydney!